I got some good news and some bad news Tuesday. The bad news came when Dean, NYØI, let me know he couldn’t get into my EchoLink station. A little investigation proved that my radio is deaf; the problem is either the feedline or the antenna itself. What a disappointment. But the good news I got that day was so good that it more than made up for the bad news. I got a taker on my offer to be a CW Elmer! Michael, KK4FKM, found me listed over at the SKCC Elmer Page and sent me an email. Great timing — I easily pushed my antenna woes to the back of my mind and set up a SKED with him for yesterday afternoon on 20m. At the appointed hour I called KK4FKM KK4FKM KK4FKM DE NØIP NØIP NØIP KN. I wasn’t sure I’d hear him since the band was unusually noisy and KK4FKM was running QRP. But sure enough, there he was! He was buried pretty deep in the QRN; I quickly flipped on my CW filter to isolate his signal. I managed nearly solid copy on the first go-around, but I couldn’t make out his subsequent transmissions. I was booming in there, though, so he had the opportunity to copy plenty of code. Afterward we chatted by phone. I was moved when Michael told me this was his first QSO! What an honor to be his first contact. Impressive, too, that Michael’s first QSO was by CW, especially considering that he has his General — he could have gone straight to HF SSB if he wanted to, but instead he went the extra mile and tapped out his first QSO on a straight key, QRP no less. Well done! It turns out that Michael and I have even more in common than our appreciation for CW. He is a police officer in a department about the same size as the one in which I served, and he is a Baptist, too. After a delightful conversation, we set up another SKED before bidding one another farewell. This is one QSL that I would send if it cost me a hundred stamps! It’s in the mailbox. Congratulations, KK4FKM! If you ever have a chance to Elmer, go for it. And if you could use an Elmer, don’t hesitate to seek one out. You’ll be doing him a favor. Of all the things we can do in this hobby, Elmering might just be the most delightful one of all. Over at “This Day in History,” the lead story today is “Morse demonstrates telegraph.” It leads off, “On this day in 1838, Samuel Morse’s telegraph system is demonstrated for the first time at the Speedwell Iron Works in Morristown, New Jersey.” Well, I thought, surely this is worthy of a blog post, so I poked around on the web to learn more. It turns out that this first demonstration was put on by Morse’s partner, Alfred Vail. Vail had first become involved three months earlier when visiting his alma mater, the University of the City of New York. He stumbled upon Samuel Morse demonstrating his “electro-magnetic telegraph” with over one-third of a mile of wire coiled around a room. Vail was hooked. He convinced his brother George and father Stephen to support further development of the telegraph at the Speedwell Iron Works, and he signed an agreement with Morse to turn Morse’s crude prototype into a market-ready model — at his own expense — by January 1, 1838, in return for a minor share. 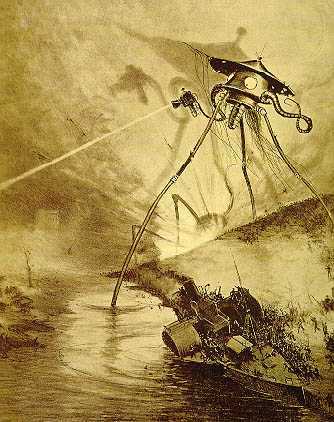 At last on January 6, 1838, the machine was ready to be demonstrated. The cotton-covered hat wire was coiled around the room on nails to equal a distance of two miles. Alfred sent Baxter to “invite Father to come down and see the ‘Telegraph’ machine work,” which sent the eager lad plunging into the cold afternoon without stopping to throw a coat over his shop clothes. I’m not sure how these messages were formatted, but most likely they were not sent letter-by-letter. In those early days messages were laboriously sent using numbers that were assigned to commonly-used words. Eventually the “Morse Code” alphabet would replace this system, though great debate rages over who invented it. Whoever invented the alphabet, what does seem clear is that Vail was the one who invented the straight key, an elegant improvement upon the cumbersome machines first used to encode messages. Today, you can even purchase a replica of Vail’s “spring key” from Kent Morse Keys! 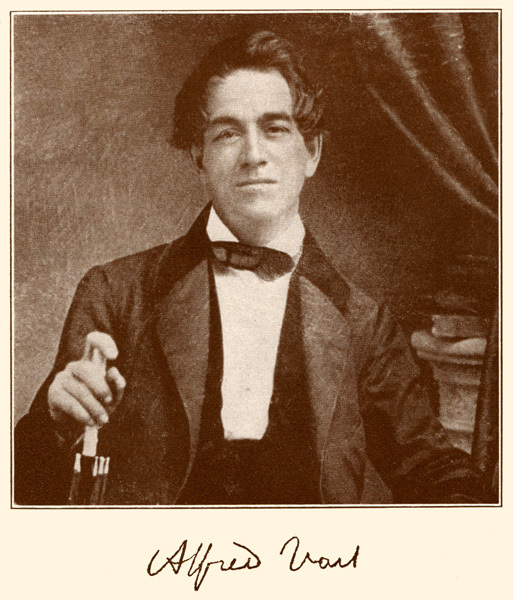 Alfred Vail became increasingly frustrated by Samuel Morse’s lack of involvement in the development of the telegraph while publicly taking all the credit. Vail stuck with it for ten years before finally leaving the telegraph behind. AGN Again PSE AGN UR NAME? Back when I first got on the air in 1978, CW QSO’s had a pretty standard format. That format didn’t change much until the last few years. But today there’s quite a hodgepodge of operating procedures out there. Most of the time it works, but it’s not uncommon to hear a downright jumbled mess — even from a CW operator who has been on the air long enough to send and receive at 10 wpm or more. It’s important to learn good operating procedure, not just because it sounds polished but because it serves a practical purpose. You can get away with sloppy operating procedure under perfect conditions, but not if your signal is weak or if there’s much QRM, QRN, and/or QSB. Even under perfect conditions, you’re making the person at the other end work harder if you’re constantly surprising him with your own odd way of operating. Under poor conditions, he may miss some of what you’re trying to say. And even if he succeeds at copying what you’re saying he may well be relieved when the ordeal is over. I’m not going to get into all of the details of good operating procedure here, but I would like to discuss some basics. Note the use of BT. That seems to have fallen out of favor, but once upon a time it was the standard way of changing the subject. The most important thing I want to point out here is to preface each of the three major elements of this first transmission with their labels: RST, QTH, and NAME. It takes a few seconds longer than sending something like, “UR 579 IN GRANITE FALLS, MN OP TODD,” but it is worth it. As the FISTS club puts it, “Accuracy transcends speed.” Update: I have noticed that OP is often used instead of NAME, especially with DX stations. Since it is widely recognized it’s perfectly acceptable. The operator replying to this first transmission sends the same three basics in the same way. If he’s inclined (and if he’s received a reasonably good RST) he will probably go on to talk about his station, the weather, etc. As it turns into a ragchewing session you can pretty much send whatever you want. Just as the use of BT has fallen out of favor, so have other procedure signals fallen on hard times. I often hear them sent incorrectly and used improperly. Remember what these are — they are procedure signals. Learn to send them well and to use them well, and your operating procedure will improve substantially. The ones most commonly used are AR, AS, BK, BT, K, KN and SK. Notice the line that appears over each one of the two-letter procedure signals. That means you send the two letters as if they are one character. For instance, KN isn’t sent as dah-di-dah dah-dit (KN) but dah-di-dah-dah-dit (KN). AR End of message: Send this after you are completely done sending everything — everything, that is, but call signs and KN. If it’s your last transmission, use SK instead. AS Wait:You might hear this if you’re working an experienced operator. If you hear this, the next thing you hear will probably be silence — maybe he has to answer the phone or something. Or maybe you’ll hear him hold his key down while he fiddles with his antenna tuner. Don’t start sending — he’ll start sending when he’s ready. This is a handy procedure sign to know, if you ever need to take a break yourself. 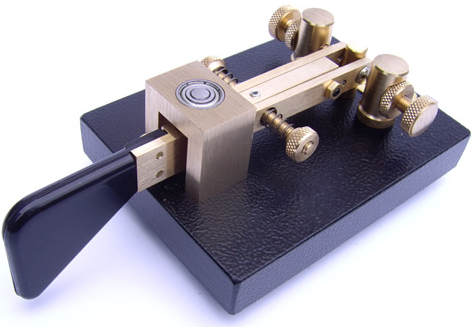 BK Break: This might be used by a station who wants to enter an ongoing QSO — he’ll send BK between transmissions to see if they’ll let him in and turn their QSO into a “roundtable.” With the advent of full QSK keying, this also became popular among experienced CW operators who could interrupt one another right in the middle of a transmission (perhaps to answer a question or clarify something). But most commonly BK is used to rapidly turn the conversation over to the other station without sending any call signs. For instance, an operator might send something like “HOW CPY? 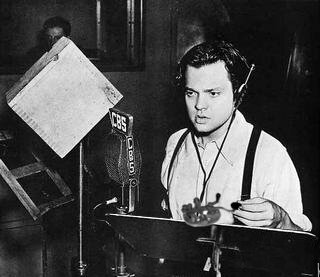 BK” and then cease his transmission. If this happens to you, reply by simply sending BK and answer his question. You can go back and forth in this manner for as long as you want, but don’t forget to obey the law by identifying yourself with your call sign at least every 10 minutes. K Over: This invites anybody listening to reply. Send this after you’re done calling CQ. But if you’re in a QSO, you almost always want to use KN, not K.
KN Over (to specific station): Send this after signing over to the other station in a QSO, e.g. NØART DE NØIP KN. KN tells other listeners that they’re not welcome to call you yet — you just want the station you’ve named to reply. Don’t send this after calling CQ — send K instead. SK End of contact: This lets the other operator know that you want to end this QSO, and this is your last transmission. Usually sent in place of AR right before signing over to the other station. It has long been customary to send “dit dit” at the very end of a QSO, like a final handshake. On the very last transmisssion, the sending station sends “dit dit” and then the other station replies “dit dit,” and that’s the end. Or (like we did in the old days) you’ll hear the first station send “dit di-di-dit dit” and wait for the second station to send “dit dit” (“shave and a haircut, two bits!”). But this is often fumbled. Here’s how it usually goes wrong. The first station to send his final farewell, e.g. TNX FER QSO HPE CU AGN 73 73 SK NØART DE NØIP KN, knowing full well that the other station still plans on bidding him farewell in the same manner, goes ahead and sends “dit dit” at the end of his transmission. Naturally, the other station ignores this faux pas, goes on to send his last transmission, and only when he is done does he finally offer “dit dit” for the other operator to send his own “dit dit” again. Now, this is obviously not the most important point of operating procedure, but why not do it right? No need to be socially awkward at the end of a good QSO! I’ve only covered a few basics here. For more on CW operating procedures, it’s worth checking out something like http://www.fists.org/basiccw.html. But the best way to learn good operating procedures is simply to pay attention to what proficient operators are doing — especially as you get into more advanced operation, like handling DX pileups. The more listening you do before you wade in, the better operator you will be. My son and I had another lesson this evening before bedtime. This time I dug out my paddles and my electronic keyer, since I was afraid that my imperfect fist at the straight key could do him damage. My fears were well placed! It turns out that in our first lesson I made my “dahs” much too long. This caused him some grief when I started using my electronic keyer since the “dahs” and the “dits” sounded too much alike to him, accustomed as he was to my goofy fist (which shall now be rectified ASAP!). I’m glad we caught my mistake on this second lesson and not several months from now! But I still feel bad for exasperating my son. So to all you would-be Morse Elmers out there, learn from my mistake! Whatever quirks you may have in your fist may be exacerbated at low speed. So unless you have a perfect fist with a straight key, use your electronic keyer right from the beginning when teaching Morse Code. 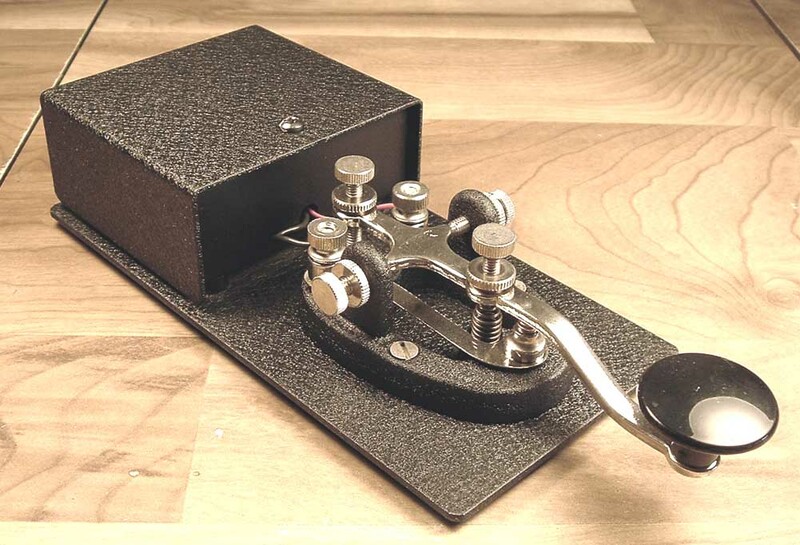 There are all sorts of ways to teach Morse Code. There’s the old Army way (check out these youtube clips: part 1, part 2). Then there’s the way the ARRL taught me back in 1978 — with cassette tapes. And today, students can download software that will teach them Morse Code with the Farnsworth Method and the Koch Method. It all works, so long as the student sticks with it. How do you get a student to stick with it? First and foremost, by cultivating within him an affection for Morse Code. As Antoine de Saint-Exupery purportedly said, “If you want to build a ship, don’t drum up people to collect wood and don’t assign them tasks and work, but rather teach them to long for the endless immensity of the sea.”1 But since so many things can thwart this affection (from discouragement to competing interests), sometimes you simply need to come alongside the student and encourage him. This is where cassette tapes and computer programs usually fall short. There’s nothing like The Personal Method — a real, live Elmer teaching you Morse Code. Just ask my son! 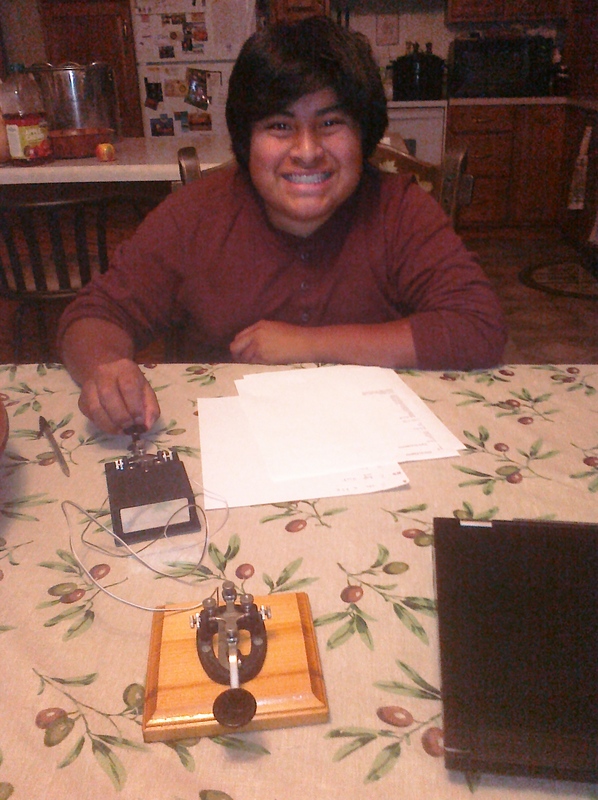 A few days ago I purchased a nifty Nye Viking Speed-X straight key and code practice oscillator to begin teaching him Morse Code. I hooked up my own Speed-X to it so that we could both key the oscillator — him on one side of the table with his new practice set, and me on the other side of the table with my own key. Thus equipped, we had our first lesson before bedtime Wednesday night. I was surprised by how hard the bug bit him. At first he wasn’t so sure about the whole thing, but by the end of the lesson he was so excited he said he wouldn’t be able to get to sleep. He even told me that he wouldn’t enjoy his classical guitar lesson and horse-riding lesson quite as much the next day because he just wanted to have the next Morse Code lesson! The next morning, he woke me up by sending “GM” outside my door with this practice set. And later in the day, he started sending me code as went down the road, saying “dit” and “dah” like a true CW operator. So to my fellow CW operators who know somebody that wants to learn Morse Code, I say let’s try The Personal Method. And to those of you who do want to learn Morse Code, try to find an Elmer who is willing to spend some time with you. If you can’t find one who can meet with you, hang in there with your cassette tapes or your computer program until you know enough code to work with an Elmer on the air. As the SKCC website says, “If you can only key at 3 words per minute, so be it.” There are SKCC Elmers who are eager to work with you (http://www.skccgroup.com/elmers.php). You’ll be amazed at how quickly you build up your speed, and you’ll enjoy the experience a thousand times more than by trying to learn all by yourself. 1 This quote is all over the Internet, but I’ve yet to see any citation for it. If you know where Antoine de Saint-Exupery wrote this, please let me know!